Attendees of the 11th Indian Telly Awards would have been surprised to note a blue carpet rather than a red one when they entered the venue of India’s leading television performance recognition ceremony. Not many knew what it was about. The decision behind having a blue carpet came about to bring to people’s minds the increasing degradation and pollution of India’s rivers and the government’s apathy towards this rising menace. The initiative clearly indicated how even trademark and leading events can be used to highlight certain social issues and causes. Well, seems like there was a lot of FUN and hoo-haa at the grand event! And the hosts were none other than the 2 popular hottest men of Indian Television – Ronit Roy and Ram Kapoor. Almost everybody from the Telly land marked their presence with of course few Bollywood biggies too! 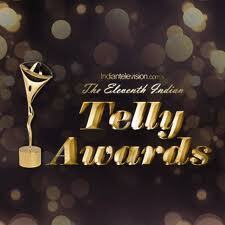 Every year, everyone exclusively waits for the Indian Telly Awards. Fans vote for their favorite stars and make them win. Jury spends a lot of time watching almost all shows, to just give out the award to the most deserved candidate. Well, at the end, it’s all about the Telly game. Or how about call it a “Tally” game! Cheers to all the winners! And do catch the event on Colors TV channel soon.